If you are looking for first birthday party ideas for girls, look no further. 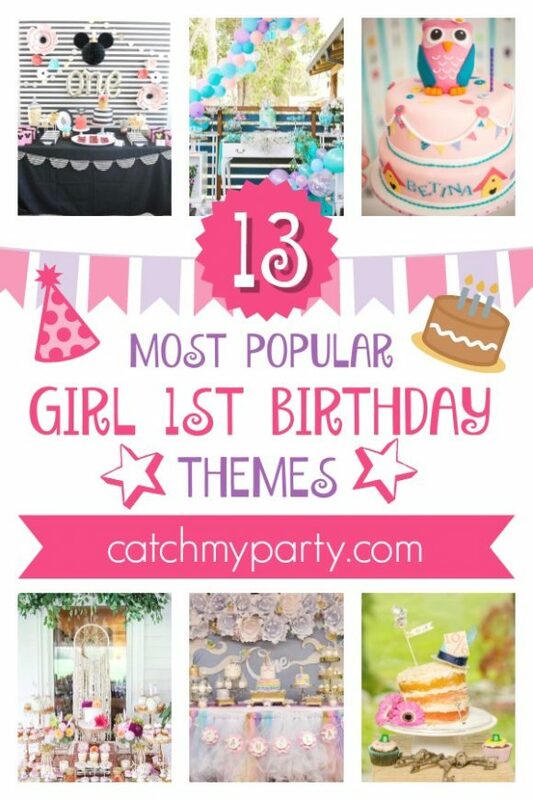 We've searched CatchMyParty for the 13 most popular girl 1st birthday themes that will inspire you! Many of these 1st birthday party themes for girls are old stand-bys, like princess and ballerina parties, but some are new and trendy, like unicorn parties and mermaid parties. Happy browsing! I loved Moana! What a refreshingly fun, new movie from Disney, and the songs are terrific. I'm excited to be offering these FREE Moana printables designed by Ana from Love Party Printables. 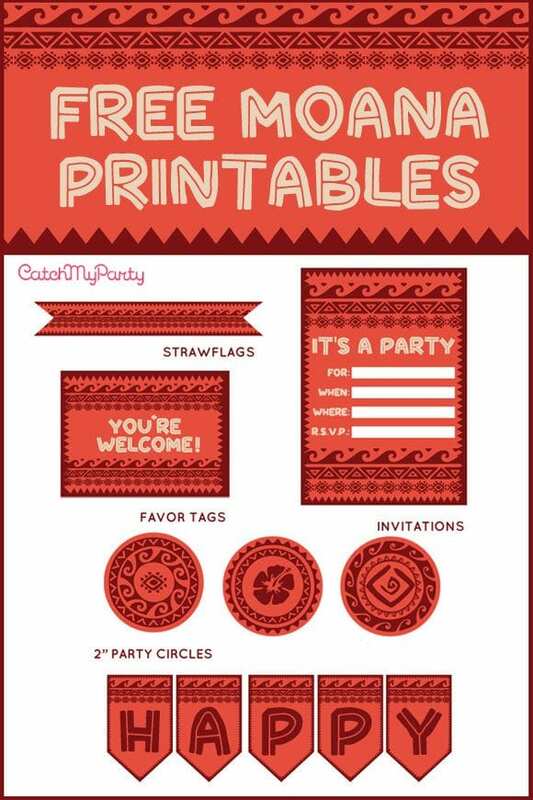 These free party printables have everything you need to decorate your upcoming Disney Moana birthday parties like free printable Moana invitations, a free printable Moana Happy Birthday sign, and more! 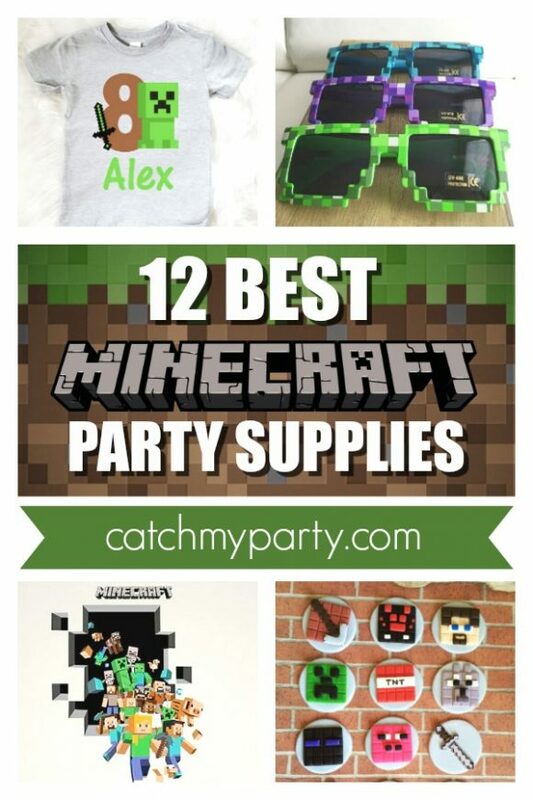 The 12 BEST Minecraft Party Supplies for an Awesome Birthday! If your thinking of throwing a Minecraft birthday party for your son or daughter, then look no further than this list of the 10 best Minecraft party supplies that will help you plan the most amazing party ever! Minecraft birthday parties are the ultimate fans' dream and are such a popular theme here on CatchMyParty. 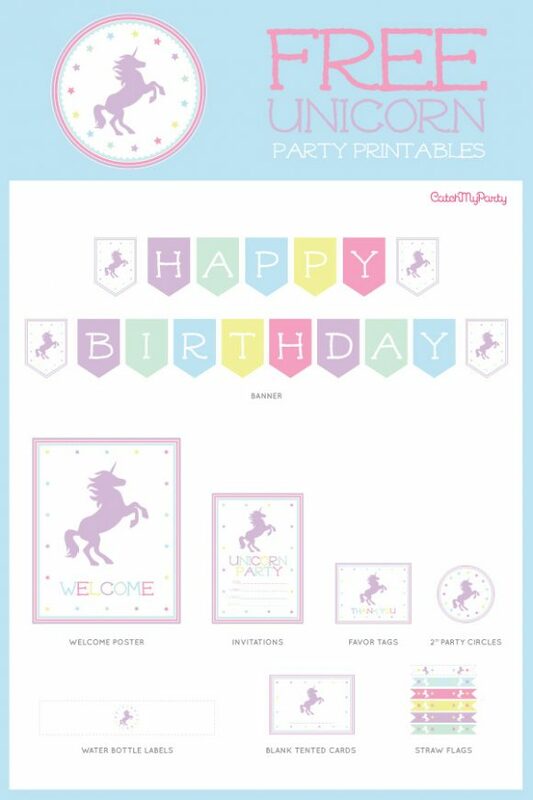 I'm so excited to be sharing these magical FREE Unicorn birthday party printables with you! They are a wonderful addition to your unicorn birthday. Unicorn parties are already so popular! They're everywhere! I can't browse Pinterest or Instagram without seeing beautiful unicorn themed party ideas, and I don't think there are many girls out there who wouldn't love a unicorn party for themselves. 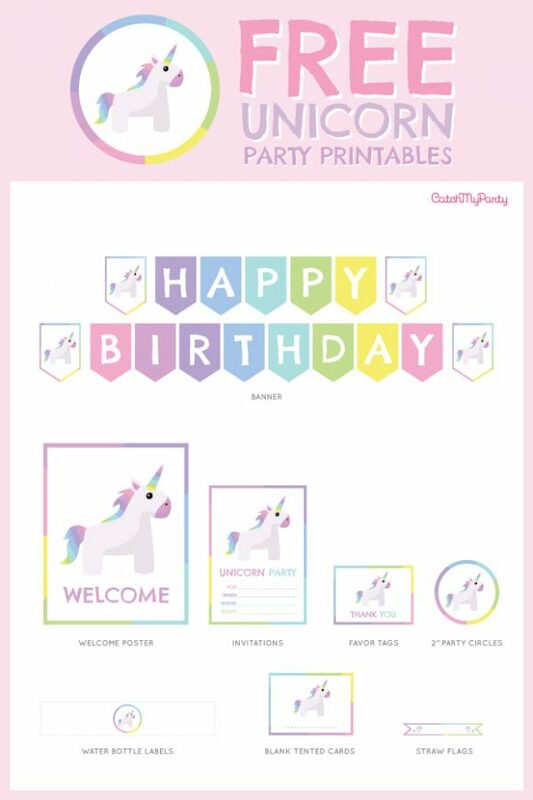 Last week we offered a fantastic set of FREE unicorn birthday party printables and today we're so excited to be giving away another set of FREE unicorn birthday party printables for young girls. The rainbow unicorn party craze continues to dominate party themes at the moment! Beautiful unicorn birthdays seem to be popping up all over the place, especially on Catch My Party, Pinterest, and Instagram. Hot Air Balloon 1st Birthday and More! I am so excited to show off my 4 favorite parties from this week that were all added by our Catch My Party community! Last week I shared a wonderful 1st birthday party for a little girl, but this week if I'm showing off a great 1st birthday idea for a little boy-- a fantastic Hot Air Balloon 1st Birthday that will blow you away. It's so adorable and beautifully decorated. You're going to love it!